[News] Jin Goo Explains Why He Hasn′t Been In Many Dramas. Jin Goo emphasized he′s open to any new offers from dramas. The actor appeared at the press conference for the upcoming KBS2 drama Advertisement Genius, Lee Tae Baek held on January 30. He said about the reason he hadn′t often appeared in dramas, "The reason I haven′t been in many dramas isn′t because I avoid dramas, but because I wasn′t given any chances. If I can be of any help to the piece, I will appear in it whether it be a drama, film, play or musical." Then how did he come to appear in this particular piece? Jin Goo answered, "A great staff team and great cast held out their hand to me, so that′s how I came to appear. Advertisements are supposed to be innovative and creative, and need to express what you′ve never thought of in a new way. I think I was cast because I wouldn′t be such an old face in the scene." Director Park Gi Ho said about his casting decision, "I wanted to emphasize a humane and warm mood, and the producers agreed that Jin Goo would fit nicely and go well with the character named Lee Tae Baek." Jin Goo will be appearing in the drama as the lead Lee Tae Baek, a genius art director. He dropped out of a local university, but his passion toward advertisements is rivaled by no other. The actor said about his resemblance to his role, "Jin Goo is also hardworking in what he loves, so much that he can be called idiotic at times. Lee Tae Baek loves his family and friends, as well as his work. This resembles my own personality." Advertisement Genius, Lee Tae Baek is based on the true story of Lee Jae Suk, an advertiser who has taken over many international advertisement festivals. It will air its first episode on February 4. [News] “The Horse Doctor” Keeps Lock on No. 1, “School 2013” Ends with Favorable Figures. The MBC historical drama “The Horse Doctor” has been the most-watched show in the Monday and Tuesday primetime lineup for the last 16 weeks. The Cho Seung-woo and Lee Yo-won starrer was crowned with an average rating of 20.5 percent during the week of January 28 and 29, TNmS [Total National Multimedia Statistics] showed Wednesday. In this week’s episodes, Baek Gwang-hyun, one-time veterinarian, successfully treated a patient the royal physician had failed to treat. Sitting at No. 2 was the KBS drama “School 2013,” which closed its curtains on January 28 with 16.0 percent of the total viewers. The teenage drama, starring Jang Nara, Choi Daniel and Lee Jong-suk, has made its successful exit with great applause thanks to its delicate portrayal of contemporary school lives and problems. KBS will fill up the hole in the Monday and Tuesday primetime slot with “AD Genius Lee Tae Baek,” starring actor Jin Goo, Park Ha-seon and Jo Hyun-jae. The upcoming drama centers around a high school graduate, Lee Tae-baek, who becomes one of the most brilliant ad executives in Korea. Meanwhile, the SBS drama “Queen of Ambition,” starring actor Kwone Sang-woo, Soo-ae and TVXQ!’s U-Know Yunho, landed in the last position after pulling in 11.2 percent. Nielsen Korea showed the same order of the three dramas but slightly different figures from TNmS’ during the last week of January. While “The Horse Doctor” dominated the chart with 19.7 percent, “School 2013” and “Queen of Ambition” followed next with 15 and 11.2 percent, respectively. [News] Yu Ah-in Supports Children in Child Care Centers. “Fashion King” actor Yu Ah-is in the spotlight for his deep interest lunch money of children in child care facilities. Yu has made a donation of 77 million Korean Won [approximately 71,033 U.S. Dollars] to a Korean non-profit foundation The Beautiful Foundation on January 28, the Foundation said in a statement Tuesday. The public foundation has hosted a campaign for raising lunch money of children in care facilities, collecting a total of 350 million Won [322,878 Dollars] to subsidize 130 children in Seoul and Gyeongsangbuk-do area. “It’s good to donate in secret but it’s also good to let many people know about it so that more people can hopefully follow suit. I think it’s young celebrities’ duty to create an open environment for donations,” said the 26-year-old star. Thanks to Yu’s donation and effort, the foundation reached its target amount on January 30, a day before its due date. [News] Song Hye Kyo May Not be Able to Attend the ′Berlinale′ Despite Receiving an Invitation. Song Hye Kyo has become the first Korean actress to be invited to the Berlinale, but she may not be able to accept the invitation. A source close to Song Hye Kyo told enews, "[Song Hye Kyo is] thinking over whether she should go to Berlin because of her drama shoot schedules. She believes, though, that it is time for her to concentrate on her drama." The actress was invited as the lead of The Grandmasters, which has been chosen as the opening film for the 63rd Berlinale. She is the first Korean actress to be invited to one of the top three film festivals of the world as the lead of the opening film. She, however, will probably not be attending due to her filming schedules for her SBS drama Wind Blows in Winter. The opening ceremony for the festival is held on February 7, but her drama will air its first episode on February 13. The source added, "She′s trying to fix her schedule, but there are many obstacles in her drama schedule blocking her from attending. She will be making her decision soon." Another source said, "The press conference for Wind Blows in Winter coincides with the schedules of the Berlinale, which means it will be near impossible for her to fly to Berlin." The Grandmasters has premiered in China, and earned 30 million yuan (5.1 billion won) on its first day. [News] Kim Soo Hyun Becomes Model of the Year at the ′TVCF Awards′. 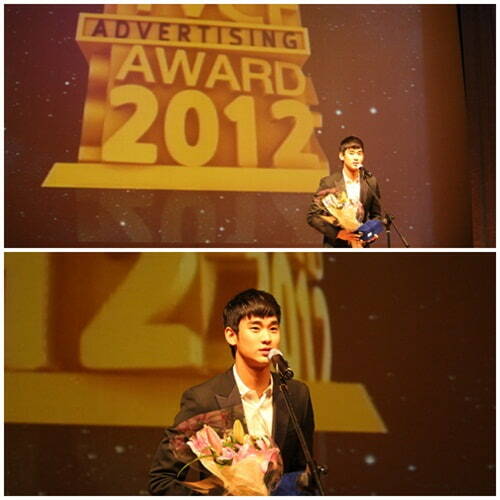 Kim Soo Hyun proved again he′s the biggest name in the advertisement industry. The actor became the Model of the Year at the TVCF Awards held on January 29. The TVCF Awards is an annual awards ceremony in its 10th year, and is Korea′s biggest commercial festival that brings together advertisers and people who love advertising. A rep from Kim Soo Hyun′s agency Key East said, "Kim Soo Hyun appealed to the public and advertisement officials with his bright and healthy image, ranking him high in the area of advertising liking and letting him win the award. The award is even more meaningful as the scores incorporate a netizen poll." It is noticeable how he became recognized for his influence not only in Korea but also overseas as a hallyu star. Kim Soo Hyun became the king of commercials after garnering a big success with his MBC drama The Sun and the Moon in 2012. He has modeled for clothing brands, electronics, dining, jewelry and more. He is currently shooting his film Be Covert, Be Great, set to premiere this year. 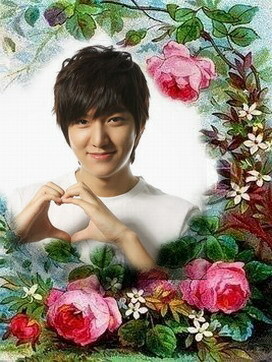 [News] Readers Select Lee Min Ho as Ultimate Flower Boy. Last week, we asked you which famous pretty boy is the ultimate flower boy, and the results of our poll are in! 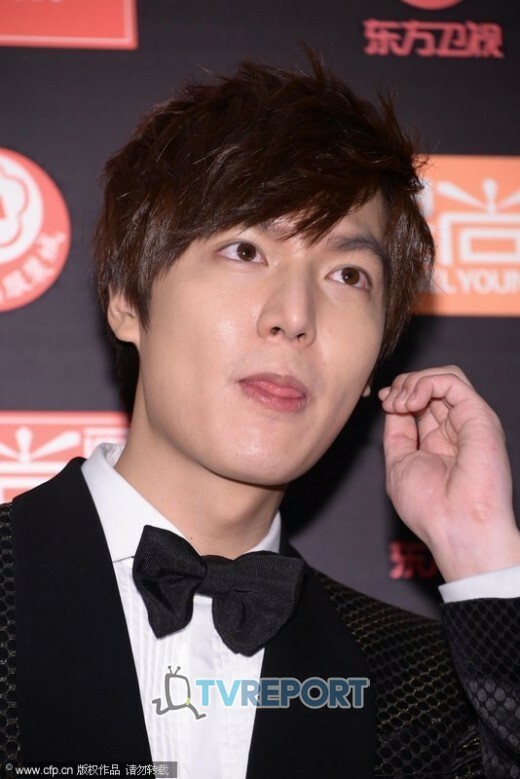 More than 17,000 votes were cast for our five nominees, but Lee Min Ho took the largest chunk of the pie, earning 45.7 percent of the votes in the poll. 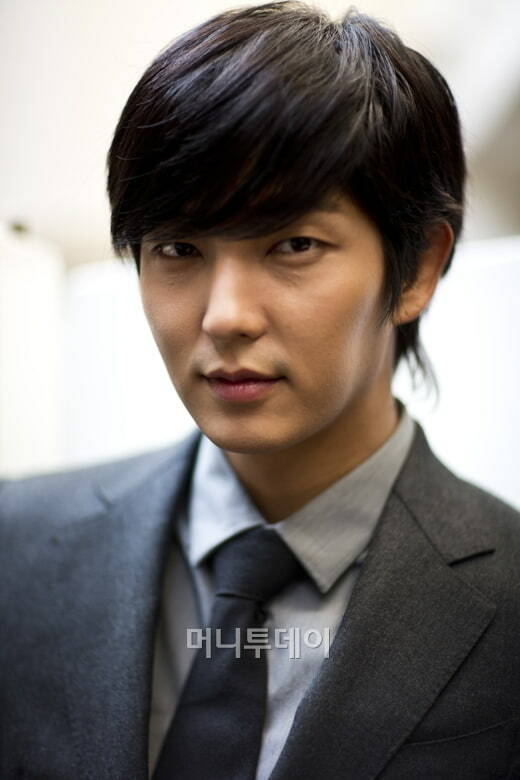 We can′t say that we′re surprised as the actor’s role in Boys Over Flowers left a lasting impression on viewers. Following in second place was Jung Il Woo of Cool Guys, Hot Ramen with 33.9 percent of votes. 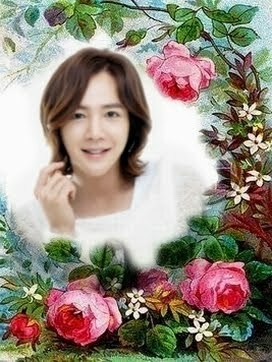 Meanwhile, Jang Keun Suk, Yoon Shi Yoon and Sung Jun trailed in third, fourth and fifth place, respectively, with the You’re Beautiful star recording 11.7 percent of the votes, the star of Flower Boys Next Door picking up 6.8 percent and the Shut Up Flower Boy Band actor rounding out the poll with 1.8 percent. It appears nothing beats the original flower boy in the eyes of our readers! [Photo & News] Lee Byung-hun, Japan fans reconnect. Despite it being over a year since his last visit to Japan, demand for Lee Byung-hun, or Byunsama (“sama” is an honorific title in Japanese) as he is affectionately called there, has not subsided. When Lee landed at Haneda Airport in Tokyo for movie promotions on Monday, he was greeted by about 350 fans. Lee who was in Tokyo to promote his movie “Gwanghae” (“Masquerade”) which will open there next month, thanked and shook hands with fans. “It’s so nice to come back after such a long time,” he said. “Thanks for supporting me despite the years.” The Hallyu star was last in Japan in December 2011. Yesterday, Lee held a press conference for the Korean period piece opening in Japanese theaters Feb.16. After the official media event, Lee took part in promotions in Shinjuku, Roppongi and Marunouchi, meeting with a total of about 1,500 fans. The film starring Lee opened in Korea in September and has drawn more than 12.3 million viewers, becoming the third most-watched Korean flick. [News] Lee Joon Gi ranks second on the Oricon Chart. Actor and singer Lee Joon Gi recently ranked second on the Oricon Chart. On January 29, Lee ranked second on the Oricon Daily Single Chart with “Tonight,” a track from his fourth single, Case By Case (CBC), released in both Korea and Japan. Lee sold 6642 copies of the single and ranked second on the chart after Morning Museme. Super Junior K.R.Y ranked seventh with “Promise You,” and TVXQ ranked eighth with “Catch Me.” A total of three K-pop songs ranked in the top ten of the chart. Super Junior K.R.Y released their new material on January 23 and TVXQ released theirs on January 16, and they have ranked in the top ten of the chart for a long time with their new songs. Lee personally wrote lyrics to “Tonight.” It’s a love song that tells a man’s hope to fall in love with someone at a first glance. He compares his fans to the lover in the lyrics. Lee’s new single was produced by Opatsu’s Kim Seok Joong. Lee will soon come out with a new drama series or a new movie. [News] Sakurai Sho to star in new drama “Kazoku Game”. “Kazoku Game” is based on Honma Yohei’s award-winning novel of the same name, and it has been adapted into live-action movies several times with one starring late actor Matsuda Yusaku, and two special dramas starring Kaga Takeshi as well as two drama series starring Nagabuchi Tsuyoshi. The movie adaptation especially, which was directed by late film director Morita Yoshimitsu, received several awards. The story revolves around an eccentric home tutor named “Yoshimoto” (played by Sakurai), who is hired to teach the second son of the Numata family. While being tossed around by the weird and unconventional home tutor, the remedial student and his family gradually start changing. Though the previous movie/dramas featured a fiercely competitive high school entrance examinations as its main theme, the 2013 version will also feature some modern problems like bullying and school refusal. “Kazoku Game” will begin airing on Fuji TV (every Wednesday at 10:00 pm) starting in April. [VOD & News] MV revealed for Ailee’s “Ice Flower” for ‘Queen of Ambition’ OST. The music video to Ailee‘s recently revealed song for ‘Queen of Ambition‘ OST, “Ice Flower“, has been released! The song is a reflection of the memories the main couple of the drama share as they face various obstacles to their love. You can now once again listen to Ailee’s beautiful voice accompanied by scenes from the drama starring Kwon Sang Woo and Soo Ae. [News] ‘Thermae Romae II’ announced for Golden Week 2014. On January 30 (JST), it was announced that one of the most successful movies of 2012 – ‘Thermae Romae‘ will be receiving a sequel in 2014! All the main actors from ‘Thermae Romae’, lead by Abe Hiroshi as the protagonist will be reprising their roles in ‘Thermae Romae II‘, which is slated for release during the Golden Week of 2014 (early May) and will be directed by Takeuchi Hideki again. The filming will take place in Bulgaria, a first for a Japanese movie production, and it will include a movie reconstruction of the Roman Colosseum in actual scale. In ‘Thermae Romae’, Abe played Lucius, a bath design engineer who slips through time between Ancient Rome and modern Japan. This comedy became one of the highest grossing films in Japan in 2012 with a revenue of 5,980,000,000 Yen ($65,959,400 USD). Lucius is going to face another tough challenge in ‘Thermae Romae II’ as he gets ordered to construct a thermae (bath house) inside the Colosseum. When he accidentally slams into a wall with his head, he once again travels to the future and awakes in modern Japan. Abe already stated his excitement and that he can’t wait to start working on the sequel. Ichimura Masachika, Kitamura Kazuki, and Shishido Kai will once again portray the ‘deep faced’ characters of Ancient Rome alongside Abe as Lucius. The ‘flat faces’ of modern Japan will be played by Ueto Aya, Takeuchi Riki, and Sasano Takashi again. Additional characters and more details about the sequel will be released at a later date. [News] Moses Chan Accepts Having Less Fans As He Ages. Although Moses Chan (陳豪) went home empty-handed at last year’s TVB Anniversary Awards, he continues to maintain a positive outlook on his career. Moses places high importance on his fans, because after all, they are the ones who continue to support him through his ups and downs. “The fans support me unconditionally and don’t ask for anything in return. Sometimes I feel like I don’t do enough and I’ve let them down, so I should be the one apologizing,” Moses explained. While Moses has loyal and dedicated fans supporting him, does he ever worry about losing them to the new breed of actors as he ages? Moses answered, “It’s a natural cycle, just like how the earth will continuously evolve. There will always be someone who is younger than you, prettier than you, smarter than works, works harder than you, accomplishes more than you and faster than you. [News] Andy Lau Wants a Snake Boy. [News] Kim Sun Ah to Star in ′The 5ive Hearts′. Kim Sun Ah will be returning to the silver screen for the first time in a year. According to Kim Sun Ah′s agency King Kong Entertainment on January 29, Kim Sun Ah has confirmed her appearance in the film The 5ive Hearts. The 5ive Hearts is about how an ordinary woman loses her family to a serial killer, and vows to have her revenge. Kim Sun Ah will be appearing as the vengeful lead, Ko Eun A. She is expected to don in a new image, leaving behind her previous bright one to become a dark yet strong figure. Kim Sun Ah has said about the piece, "Ko Eun A grew up as an orphan, and she is a figure who lives on with sadness in her heart. She gives up everything she has in order to plot her revenge for her family. My family is more precious to me than anything else, so I′ll be able to understand how Eun A feels. I want to make the character my own." The 5ive Hearts will be directed by Jeong Yeon Sik, the man who drew the webtoon of the same title that the film is based on. It will start filming mid-February. [News] “Seo-young, My Daughter” Unstoppable Winner on Weekly Chart. The KBS weekend drama “Seo-young, My Daughter” has stretched its winning streak for the 17th straight week. The family drama secured the top spot on the weekly TV chart by registering an average rating of 43.3 percent during the week of January 21 to 27, according to data polled by TNmS [Total National Multimedia Statistics]. The Lee Sang-yoon and Lee Bo-young starrer has captivated audiences with its delicate portrayal of a father-daughter relationship. Following the elusive winner was the KBS daily series “Cheer Up, Mr. Kim!,” which pulled in 31.1 percent of total viewers during the same time frame. The drama has garnered popularity thanks to singer/actor Kim Dong-wan, who plays an honest man, Kim Tae-pyeong. While SBS reality show “The Laws of the Jungle” sat at No. 3 with 20.6 percent, “KBS 9 o’clock News” ranked at the fourth place after scoring 20.2 percent. MBC Monday and Tuesday primetime drama “The King’s Doctor,” starring Cho Seung-woo and Lee Yo-won, rounded off the top five with 20.0 percent last week. In the meantime, Nielsen Korea showed different orders of the top three programs from TNmS’ during the fourth week of January. While “Seo-young” dominated the chart with 42.7 percent and “Cheer Up” followed next with 29.4 percent, “The Laws of the Jungle” ranked at the No. 3 spot with 20.6 percent. [News] Asiana Airlines Becomes Official Sponsor of YG. YG Entertainment, an entertainment agency with top K-pop groups Big Bang and 2NE1, has signed a memorandum of understanding (MOU) with Asiana Airlines Inc., one of Korea’s two major airlines. The MOU signing ceremony took place at the headquarters of Asiana Airlines in Seoul with YG’s representative Yang Min-suk, Asiana’s chief director Ryu Gwang-hee and 2NE1. Under the accord, Asiana will become an official sponsor airlines for YG in 2013 and give free air tickets and discounts to YG’s artists and their staff, who will participate in concerts and cultural activities across the world. Meanwhile, YG will also promote Asiana Airlines by displaying the airline’s brand logo during overseas concerts of YG musicians such as Big Bang, 2NE1 and PSY. “We hope that Asiana Airlines will contribute to boosting K-pop and Korea’s national image with YG,” said Ryu, chief director of the airlines company. [News] The Messages of ′School 2013′. It was completely different from the School of the past. KBS2′s School 2013 finally met its conclusion, bringing back old memories and leaving behind lingering emotions in its wake. It drew out for all to see how cold classrooms of the present could be, and delved into the reason it had become harder for teenagers and the older generation to mix. The drama first drew issues for being relatable with its realistic content. It wasn′t all fantasy, meaning it appealed to students, parents and teachers alike. It conveyed why students can′t help but become more delinquent, why they′re starting to feel less and less emotions, why students can′t seem to reach the heart of the school and what duties parents must carry out within their families. It let viewers look back on themselves, and set right what they saw of themselves in the drama. The delinquent Oh Jung Ho (Kwak Jung Wook) especially showed how he had come to be a delinquent not because of his own problems, but because of changed values on the older generation′s part. He showed that students like himself came into being when society started to chuck out those who fell behind and lined every kid up based on a small set of numbers. The answer was in the adults. The drama emphasized that it was up to the adults to put together healthy families and show their responsibility. Parents are supposed to be in charge of bringing up their children to be kind people. Teachers aren′t supposed to be responsible for making students strong enough to survive in the harsh exam wars, but for building a school that students who have been shunned by their families can turn to. School 2013 tried hard to deliver these messages. It didn′t build a new type of school in fantasy land but stayed strictly with reality. As a result, it met a successful conclusion along with the message that it′s not up to just one group to change, but to all of us. The previous School series were mostly about love lines between high school students. School 2013 also seemed to lean toward that line at first, but the producers in the end decided to leave out the love. They instead concentrated on more school problems and plucked more issues from reality for the characters to carry. Even those students who were given lighter roles represented some part of the teenage spectrum. There was the change that came over Lee Ji Hoon (Lee Ji Hoon), who previously lived as he wished with Oh Jung Ho and Lee Yi Kyung (Lee Yi Kyung), the regret of Park Heung Soo (Kim Woo Bin), who had lived as a delinquent in middle school, the students of class two who came to accept Han Young Woo (Kim Chang Hwan), the boy with a learning disorder, as one of them, and the sensitive high school friendship between Kye Na Ri (Jeon So Jin) and Shin Hye Sun (Shin Hye Sun). The lives of the model students were also represented through Kim Min Ki (Choi Chang Yeop) and Song Ha Kyung (Park Se Young). They showed that it wasn′t their own dreams that had made them model students, but the adults′ satisfaction. Teachers much needed in Korea′s educational system made appearances in School 2013. Jung In Jae (Jang Nara), who tried to embrace every student in her heart, and Kang Se Chan (Choi Daniel), who showed what it meant to be a real teacher, conveyed the biggest messages. Of course, Korea′s educational system won′t change right away merely thanks to one run of School 2013, but the drama still left hope that the series, which made a comeback following a 10 year hiatus, would launch a small effort for change that may spread in the future. School 2013 got its producers, cast and its viewers expectant of a new tomorrow. [VOD & News] Choi Ji Woo Sheds Tears in New MV Teaser for Ali’s ‘Eraser’. First generation hallyu star Choi Ji Woo is helping out singer Ali with her return. Choi Ji Woo will appear as the lead of Ali’s upcoming music video for her title track Eraser. Ahead of its release, the first music video teaser for the track was released on January 29. Ali’s Yedang Entertainment revealed actress Choi Ji Woo agreed to appear in the music video for free as she has close ties with the agency, which used to serve as Choi Ji Woo’s old agency. After receiving the synopsis for the music video, the actress was said to express much interest and shot the music video with a delightful heart. The full music video will drop on January 30. [News] Lee Seung-gi and Suzy in "Medical Novel". Lee Seung-gi is attempting at his first historical act through "Medical Novel". Upcoming MBC drama "Medical Novel" is a martial arts drama about Choi Kang-chi (Lee Seung-gi) a half man-half beast who struggles to become human. Lee Seung-gi takes on the role of Choi Kang-chi who was born between a human mother and a mountain god. He is a curious and thriving character until he realizes he is a half man-half beast and lives a second life. Lee Seung-gi starred in the drama "The King 2 Hearts" 10 months ago. Suzy takes on the role of Dam Yeo-wool who has outstanding skills in archery and martial arts. She believes in the nature of humans and justice and is a character who puts weight in the three fundamental principles and the five moral disciplines in human relations. She is an educator in martial arts at a young age and she's better at it than she is at housework. The production claims the combination of Lee Seung-gi from "The King 2 Hearts" and Suzy from "Architecture 101" will appeal far better to the viewers. "Medical Novel" draws the progress of a half man-half beast going through the happiness and sadness of humans in a pleasurable way. Producer Sin Woo-cheol is responsible for this drama. 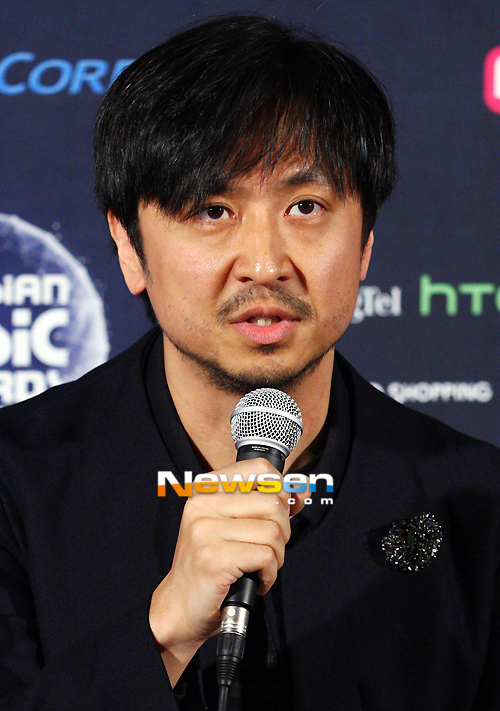 [News] Kim Won Seok ‘Sungkyunkwan Scandal’ PD to Direct Mnet Music Drama. Similar to MBN’s What’s Up, Mnet will be creating its own music drama, directed by PD Kim Won Seok. According to Shin Hyung Kwan, the chief director of Mnet, PD Kim Won Seok and his team will embark on creating a music drama that will run for 12 episodes. PD Kim Won Seok, who recently signed on with CJ E&M, is responsible for bringing success to KBS’ Sungkyunkwan Scandal back in 2010. The audition process for the music drama is almost completed and the drama will include a diverse mix of actors, idols, and musicians. There’s a possibility that the participants of Mnet’s Superstar K4, like Roy Kim or Jung Joon Young, will appear in the drama. The Mnet music drama is scheduled to broadcast sometime in early April. 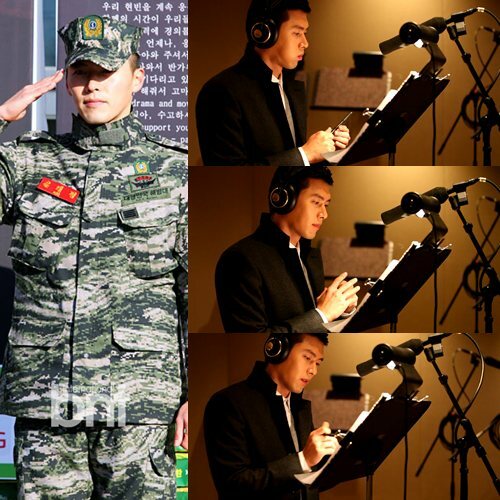 [News] Hyun Bin Narrates for His Upcoming CF. Already re-cast as Samsung Smart TV’s model, Hyun Bin was caught in the recording studio to prepare the narrations for his upcoming CF. On January 29, Samsung Electronics released some photos of Hyun Bin hard at work, recording the narrations for the Smart TV CFs that will mark Hyun Bin’s official return to the entertainment business. The photos revealed Hyun Bin concentrating on his, as well as his short hairstyle, having only returned from the Marines in December. [News] Kim Hyun Joong and Ailee to Perform in Brazil. 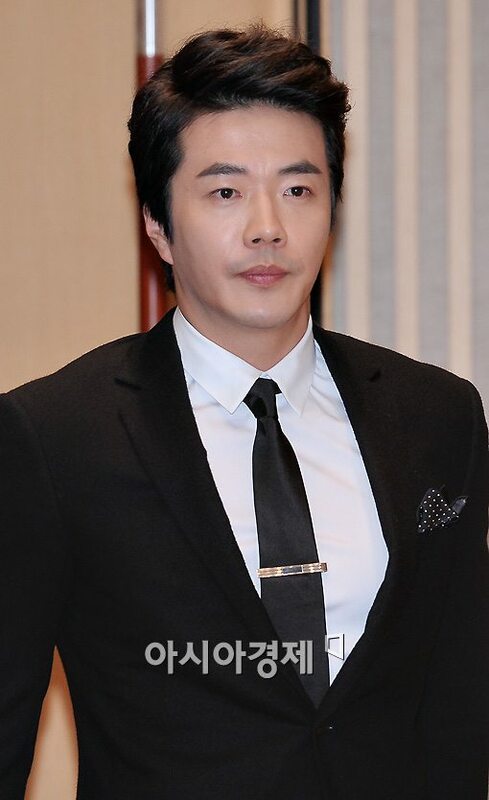 [News] Kwon Sang-woo Wins Back Fans as Jilted Lover in SBS Soap. Actor Kwon Sang-woo seems to be successfully returning to the spotlight from which he has faded in the last few years as he is appearing in a hit Chinese movie and a popular new SBS drama that is garnering positive feedback from TV viewers and critics alike. The soap, "King of Ambition," revolves around a man who takes revenge on his ex-girlfriend after she betrays him. In the first few installments of the show, Kwon focuses on showing his utter devotion to his partner. "I think we have made a good start. I appreciate the good reviews of my acting skills, but the most important thing is that we get high viewing figures," he said with a smile. Kwon rose to fame with hit movies including "My Tutor Friend" and "Once Upon A Time in High School." But since the late 2000s, he has been out of luck in selecting the right films. "I didn't realize it at the time, but in retrospect I probably went through a bit of a slump," he said. "I often felt as though I was out of touch with what the public wanted. Now I select my scripts much more carefully." "12 Chinese Zodiac Heads," the current No. 1 movie at the Chinese box office that stars Kwon and Jackie Chan as lead characters, has served as a turning point for him. "It was an honor for me to work with Jackie. And now I feel even happier as the film is proving a hit," he said. "It took around 10 months to shoot. Due to my busy schedule with the TV drama, I haven't even seen the finished version yet." He added that he was impressed by both Chan's humility and passion for the craft as the Chinese star was even willing to perform manual works while shooting the film. Meanwhile, in the second episode of the new drama aired on Jan. 15, Kwon's wife, actress Son Tae-young, appeared in a cameo role. "She's a really nice woman and a good actress. As she had to deal with a lot of celebrity gossip and rumors since we got hitched, I always feel sorry for putting her through this," Kwon said. "I hope her recent cameo appearance helps her return to the acting field." 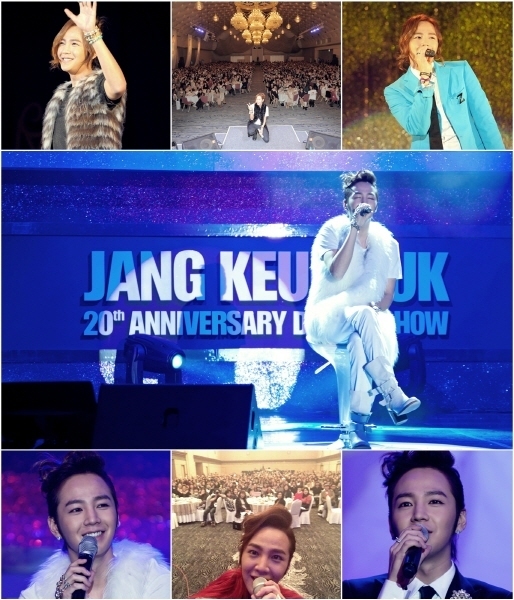 [News] Jang Keun Suk Celebrates His 20th Anniversary with Dinner Shows. Jang Keun Suk toured through Korea and Japan, thanking fans and receiving congratulations for his 20th anniversary in his dinner show tour. To commemorate his 20th year as an actor, following the December 9, 2012 performance in Seoul, Jang Keun Suk has hosted his Jang Keun Suk 20th Anniversary Dinner Show With You in Osaka and Tokyo Japan. Three dinner shows were held in Korea′s Seoul and Busan, while four were held in Japan′s Tokyo and Osaka. 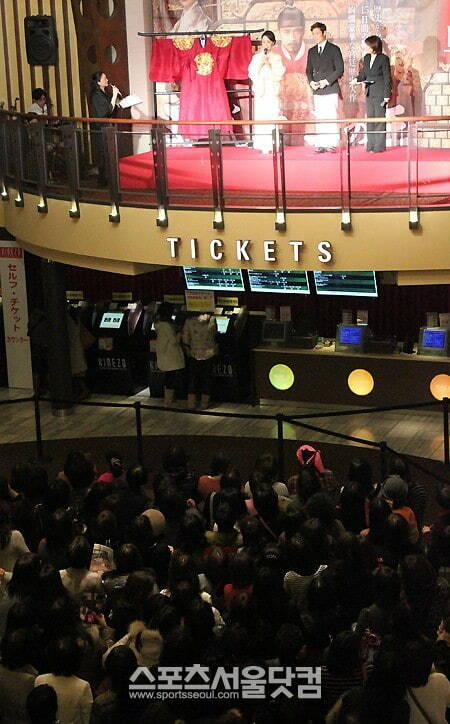 Participants for the Japanese dinner show were chosen through a random draw, and 20,000 fans rushed to apply for a chance to attend. Only 3,500 fans were chosen to be entertained by Jang Keun Suk at the show. The show, which lasted for three and a half hours, looked over Jang Keun Suk′s career, from when he was a child actor to his feats as a full-fledged adult actor now, and had him talk in a talk session. He also performed OST tracks from his pieces and gave out roses in person to the fans at the scene. 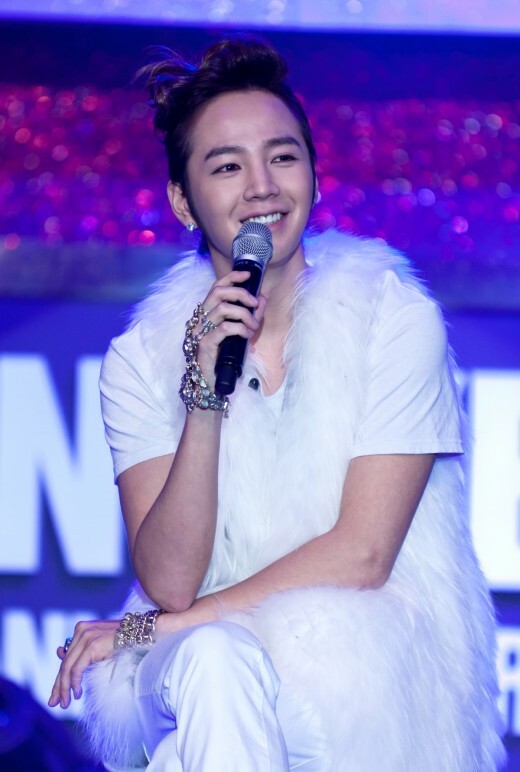 Jang Keun Suk said, "It was a precious time in which I could become more close with fans in a private event. I′ve charged through my 20 year career, but this time I was able to look back on my road thanks to those who′ve congratulated me for my 20th anniversary, so I′m very thankful." He added, "Since we have more time ahead of us, I hope to continue on for the next 20 years together with those who have been with me for the past 20 years. I′ll continue to charge forth, so I hope you look on with kindness." [News] Lee Joon Gi comes back as a singer on January 29. [News] Lee Jun Ki comes back as a singer on January 29. On January 29, Lee Joon Gi is to release his new album both in Korean and Japan, simultaneously. Early on January 27, IMX that manages the actor reported that Lee’s new album which is scheduled to be released on January 29 was prepared with utmost secrecy. 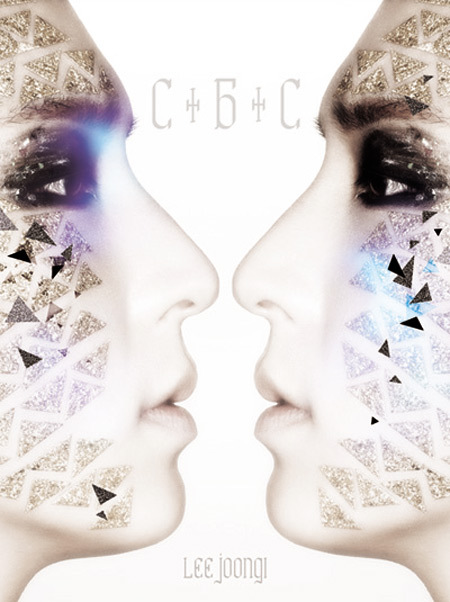 The title for his new album is “Case by Case” which is abbreviated as “CBC.” The title track is “Lost Frame” and reveals his intention to challenge himself to and enjoy many things, not restricting to one thing and become obsessed by it. According to his agency, Lee has included many different genres such as ballad, rock, and electronic in the album, as well as new metal and hybrid in which hip hop, rock, and lyrical are effectively combined together. The title song which is to be released in Japan is “Tonight.” It is a sweet love song written by Lee Joon Gi in which he hops that the love-at-first-sight would come true. For now, the star is revising thoroughly on the selecting his next work. Last year, he appeared in MBC’s Arang and the Magistrate that closed in October. [News] Singer and actor So Ji Sub gives a surprise gig in a club. In the wee hours of January 26, actor So Ji Sub gave a surprise performance at the concert of hip-hop group Soul Dive, held at a club in Hongdae area, Seoul. So made a visit to support the band, which participated in his second EP, 6PM…Playground, released on January 23. He performed 2 songs, “Eraser,” a title track of his latest EP and “Pick Up Line,” a single released in 2011. Having released several hip-hop albums, the singer and actor showed off his rapping skill, significantly enhanced through being tutored by a member of Soul Dive. The music video of “Eraser,” featuring Yoo Seung Ho and Park Shin Hye, received a lot of attention on its release for the top stars appearance. [News] Sato Eriko and Kitamura Kazuki talk about their kiss scene at event for ‘Night People’. On January 26, actress Sato Eriko (31) and co-star Kitamura Kazuki (43) appeared at an opening day event for their film “Night People” (directed by Kadoi Hajime) at Cinemart Shinjuku in Tokyo. [News] Moon Geun Young and Park Si Hoo complete their TV series. Moon Geun Young and Park Si Hoo recently expressed their feelings about completing a TV series. SBS series Cheongdamdong Alice went off air on January 27 and their last shooting scene was aired on the January 28 episode of SBS Good Morning. [News] ‘Flower Boys Next Door’ Is Sold to Japan for Record Amount. TvN’s Flower Boys Next Door is heading to Japan - after earning a handsome amount. On January 28, tvN revealed it had recently sold the broadcast rights for the popular drama to Japan for the highest price yet for a Korean cable series. As the third part of tvN’s “Flower Boys” series, Flower Boys Next Door has been receiving solid viewership and most recently lodged a 3.26 viewership rating. According to tvN, Flower Boys Next Door will begin airing in Japan beginning in May. In addition, the series will air in China, Hong Kong, Singapore, Thailand, the Philippines and more for a total of ten different countries in Asia in the near future. The romantic comedy is based on a popular webtoon and stars Park Shin Hye, Yoon Shi Yoon and others. [News] Lee Byung Hun promotes the movie Masquerade in Japan. Actor Lee Byung Hun recently flew to Japan to promote the movie Masquerade. According to HB Entertainment on January 28, Lee flew to Japan on the same day prior to the release of his movie Masquerade. The movie, in which Lee played the double role of Ha Sun and Gwanghae, will be released in Japan on February 16 through about ninety theaters. According to the agency, Lee, who is very popular in Japan, drew a lot of attention in Japan and was welcomed by over two hundred fans and many local media outlets gathered together at Haneda Airport. He will hold a press conference on January 29 and meet his fans at theaters and give interviews to local media outlets until he will return to Korea on January 31. [News] Kim Woo Bin of School 2013: “Thank you for your love”. [News] Kim Woo Bin of School 2013 “Thank you for your love”. 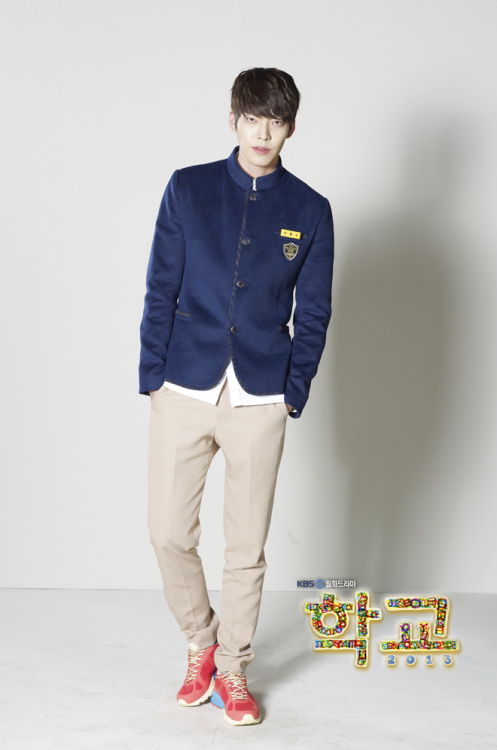 Actor Kim Woo Bin recently expressed how he feels about completing the series School 2013. On January 28, Kim’s agency, SidusHQ, posted a video of Kim talking about completing KBS Monday-Tuesday series School 2013 on their official me2day account. The series will air the last episode on January 28 and a special episode will air on January 29. [News] ‘Seo Young’ and ‘Alice’ Hit All-Time High Ratings. Closing the series off, SBS’ Cheongdamdong Alice ended with a fairy tale happy ending, recording 16.6 percent in ratings - the drama’s highest to date. Moon Geun Young and Park Shi Woo were able to look over their social differences and seal the ending with a kiss in the lobby of Moon Geun Young’s new workplace. Likewise, in terms of ratings, KBS’ My Daughter Seo Young continues to climb up in numbers, this time hitting 45.6 percent for both Saturday and Sunday, inching closer and closer to its next target of 50 percent. [News] Park Si Hoo Watched the Last Episode of ′Cheongdamdong Alice′ with Fans. Park Si Hoo again kept his "promise" with his fans, watching the last episode of his most recent piece with his fans at a theater. On January 27, Park Si Hoo watched the last episode of Cheongdamdong Alice with 250 fans from inside and outside Korea. Before the drama was to start, Park Si Hoo gave out presents in a special event to some lucky fans, then watched the 16th episode of Cheongdamdong Alice in a center seat. In an interview with enews at the scene, he said about the reason he always joins his fans in a last episode screening for every drama, "I′ve always done it because my fans like it. There′s no real special reason... it′s just like a promise with my fans." He added, "I want to [watch the last episode with my fans] like this for as long as I can." Right after the end of the episode, he said, "I′m sad Cheongdamdong Alice is a short 16-episode drama. It lingers in my memory because I had a hard time filming in cold weather. I′m happy my role met a happy ending with Han Se Kyung (Moon Geun Young)." 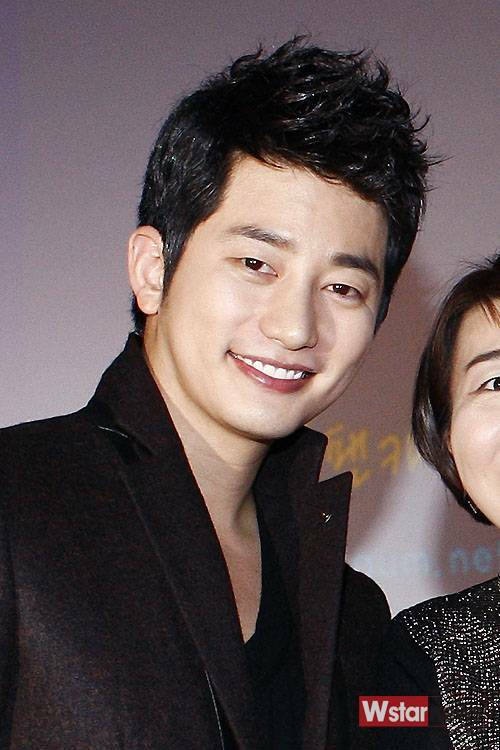 Park Si Hoo plans to take a well-earned rest for the time being, and later on talk about his next piece with his agency. [News] Song Seung Hun, Shin Se Kyung in Talks to Join ‘When a Man Falls in Love’. Song Seung Hun and Shin Se Kyung are in final discussions to make their television drama comebacks. Drama producer, I Will Media revealed on January 28 that it was in final negotiations with both Song Seung Hun and Shin Se Kyung to lead the upcoming new MBC drama, When a Man Falls in Love. In the drama, a man who is in love with the woman of a deceased crime gang leader, comes to meet another young woman. The drama will be directed by Kim Sang Ho who previously helmed such dramas as Fantasy Couple and Arang and the Magistrate and written by The Equator Man’s Kim In Young. The drama is planning to premiere in April following the conclusion of 7th Grade Civil Servant. [News] “Miracle in Cell No. 7” Holds off “Man on the Edge” on Weekend Box Office. Korean comedy-drama “Miracle in Cell No. 7” has made a strong debut atop the local weekend box office chart. The film about a prisoner with a mental disability topped the chart by attracting 1,239,908 moviegoers during the weekend between January 25 and 27, Korean Box Office information System [KOBIS] showed Monday. Actor Ryu Seung-ryong’s comic portrayal of a prisoner who loves his daughter has made many local moviegoers laugh and cry since its opening on January 23. Next up was home-grown comedy movie “Man on the Edge,” which drew in 483,263 viewers during the same time frame. Starring actor Park Shin-yang, the 127-minute movie centers around a gangster-turned-shaman. In the meantime, “Pororo, THE RACING ADVENTURE" sat at the number three spot with 296,722 people. The animated movie is the first movie version of one of the most-watched Korean cartoon series for children, "Pororo the Little Penguin." While U.S. animated movie “HOTEL TRANSYLVANIA” ranked at the fourth place with 180,080 viewers, Hollywood epic drama “Les Miserables” raked in 156,426 tickets sold. [News] Actress Lee Si-young to Join Boxing Team. Korean actress Lee Si-young has officially signed with a boxing team. Lee will attend her official joining ceremony for the Incheon City Hall Boxing Team on January 31, according to officials from her agency, J Wide Company. “Though Lee is to enter the boxing team, she will concentrate more on her acting career because that is still her main occupation,” the officials said. As she becomes a member of the boxing team, the public is expecting her to participate in the 2014 Incheon Asian Game. However, officials from J Wide explained that nothing has been set yet because she has to go through preliminaries first. Lee Si-young, who debuted in 2008, became known after appearing in the smash hit TV series "Boys Over Flowers" (KBS) the following year. In the meantime, she kicked off her boxing career in 2010 and won the 48-kg class category at the 47th Boxing Competition for Amateurs in the following year. The actress also took the top place at the 41st Seoul Amateur Boxing Contest in July 2012. [News] Shin So Yul says, “Cheongdamdong Alice is now over. I’m sad”. Actress Shin So Yul’s handwriting was recently released. In one of the pictures, Shin is smiling at the camera, holding an employee ID card issued by Artemis, a company she’s working for in the drama series Cheongdamdong Alice. SBS TV’s drama series Cheongdamdong Alice ended on January 27. 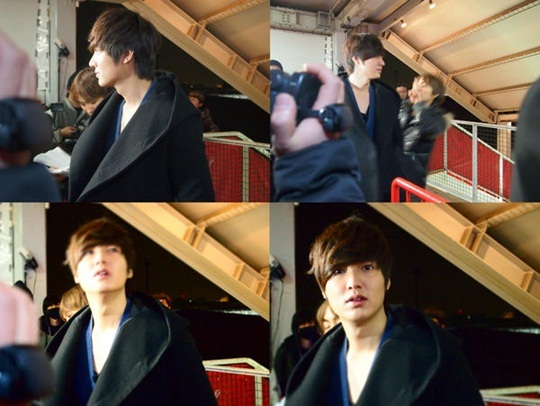 [News] Lee Min Ho captures female fans with his eyes. In the pictures, Lee stands out even though he is surrounded by staff members on the set. His eyes in the pictures captured many female fans’ hearts. Lee previously appeared on SBS Monday-Tuesday series Faith as a general named Choi Young and played opposite to Kim Hee Sun.